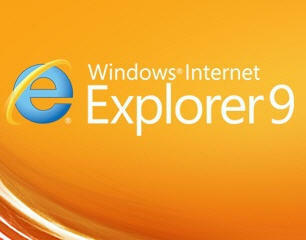 On February 10th, 2011, Microsoft launched the IE9 Release Candidate. The first ripple of this scheduled wave came as a notification to the 12 million IE9 Beta users. You can bet that Microsoft has a well calculated, multi step introduction for this new browser version. Dean Hachamovitch, head of the IE team, said, “With the Release Candidate, we’ve taken to heart over 17,000 pieces of feedback about IE9,”. You can read the whole blog complete with clips at IEBLOG. From what we are seeing here at PC Pitstop, the RC launch is already a successful one. This is a good thing for Microsoft as the last few years have seen their market share plummet. Recent statistics put IE’s market share between 52% to 56% when compared to other browsers. This means Microsoft has lost about 1/3 of their share in the last 7 years. During this time, first FireFox and more recently Google Chrome have seen their share increase dramatically. Right now Chrome is just short of 11% share and is the fastest growing of the browsers. Being one of the first adopters doesn’t come without risks. Be aware that there are still some serious bugs that need to be worked out. Although we saw no problems with our products and the Beta release of IE9 there are definitely some issues with the more recent RC and Optimize 3.0. Users of IE9 RC will see an error message when trying to use Optimize 3.0. This is not the case with PC Matic and our other softwares. I’m sure Microsoft will have the bugs out by official release but until then you may want to wait till they get it right. This should be a successful release for Microsoft but because of some tough bugs, I suggest waiting for the official release. The Pit Blog beta users, Chrome, IEBLOG, memory consumption, Microsoft, PC Pitstop, protection, share increase, step introduction, Tracking. permalink. Thanks for the update. Keep us posted on the “debugging”. Sounds like an exciting product. Let us know when the bugs are out!